When Wisam Ahmed Kashmiri, a hard-nosed RAW agent, fails to accomplish his mission of capturing Al Qaeda supremo Osama bin Laden and bringing the military outfit’s top operative Omar Qureshi to the book, he returns to the field one more time, hoping this time around, he will be able to eliminate religious extremism from the core and also the brains that work behind it. Sequels don’t work most of the times they say. And now we know what they say is mostly right! 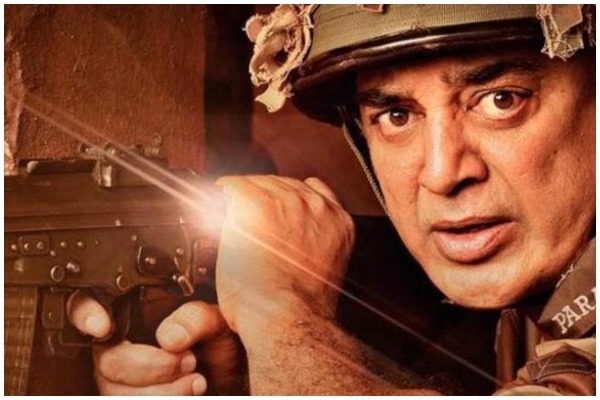 Kamal Haasan’s last Hindi directorial venture was ‘Vishwaroopam’, which released way back in 2013. Post that he made a couple of more movies in other regional languages and simultaneously kept working on the sequel to the spy thriller, which finally graces the silver screen after a gap of five long years. A lot has happened in the past half a decade and so it will definitely take some extra time for the audiences to connect the dots from the first part of the film with the second. Presented as a circumquel (a story that takes place before a prequel and after a sequel), ‘Vishwaroopam 2’ is Haasan’s sincere efforts mostly gone awry. For the uninitiated, Wisam Ahmed Kashmiri aka Vis or Vishwanath (Kamal Haasan) leads a double life in the US of A. He is a Kathak guru by day, who moonwalks as a no-nonsense RAW agent by night. His wife Nirupama (Pooja Kumar), a nuclear oncologist by profession, loathes his effeminate ways, but after the events of the prequel unfold, the audiences get to know a bit more about the double life of the spy and his honest intentions. The sequel works as a connecting story between Wisam Ahmed Kashmiri, his entry into Al Qaeda and Wisam Ahmed as a RAW agent. As the film begins, we see Wisam being carried away in a plane, all battered and bruised from the last mission he was on, which unfortunately he could not accomplish. Wisam has unfinished business to do with Al Qaeda operative Omar Qureshi (Rahul Bose) and his right-hand man Salim (Jaideep Ahlawat), who got away from his clutches. Nirupama, his boss Col Jagannath (Shekhar Kapur) and his right-hand woman Ashmita Subramaniam (Andrea Jeremiah) accompany him to ensure he returns safely home. Just then news reaches them that Omar and his henchmen, including a double agent in the team, are planning to plant caesium bombs in New Delhi and London, which will rip through and bring down the metropolitans to rubble. The onus now lies on Wisam and his team to stop Omar before he strikes. Simply put, ‘Vishwaroopam 2’ is a slick cat-and-mouse chase that does not have a strong storyline to support its background. Though backed by heavy dialogues and some very smooth action choreography, the film fails on certain accounts. It hops and skips between flashbacks and the present, which make it a little difficult to keep track of the time. Also, it takes place in several countries, which keeps the audiences wondering whether the events are taking place in UK, USA, Afghanistan or India and whether the characters that are dead are actually gone or is it a flashback sequence! Had the editor kept a tab on his scissors, he could have ensured a smooth flow of the screenplay and could have saved the scenes from looking disjointed. There are many such moments that are sure to confuse not just the first-timers but also those ‘seasoned ones’, who have watched the entertaining first installment. Kamal Haasan defies his age and overshadows everybody else. Be it his action scenes, his emotional sequences or his romantic ones, he proves he is a superstar, who has made his way up by sheer talent. He is not in his element as far as his direction goes this time, but despite the lack of a well-written plotline (credits to him again), the 63-year-old star makes sure the audiences enjoy every bit of his espionage thriller. Oh…and his intimate scenes with his onscreen wife sometimes make you cringe! Pooja Kumar, Shekhar Kapur, Andrea Jeremiah reprise their roles but are average in their roles. On the brighter side, the girls get to do a lot of stunts, which in a way, are refreshing. It is good to see Jeremiah knocking down the villains to a pulp or Kumar diving into the depths of the ocean to scour tons of bombs. Veteran actress Waheeda Rehman plays Haasan’s Alzheimer-stricken mother, who has some tear-jerking dialogues to her credit. Ananth Mahadevan as Kapur’s colleague is good. Rahul Bose and Jaideep Ahlawat leave you disappointed for no fault of theirs. Their characters could have been etched out in more detail, which could have made them convincingly evil, but they end up looking like caricatures of religious extremists. Both fine actors are wasted in their parts. Technically, the movie is very well executed. The stylish action sequences, the fast-paced chase scenes, the spectacular underwater shots and the high-octane stunts are all very pleasing to the senses. The background score keeps you on tenterhooks, while the breathtaking cinematography leaves you asking for more. Only if Haasan had not experimented with the type of film he was bringing forth (read circumquel), ‘Vishwaroop 2’ would have been in line with its predecessor. All in all, ‘Vishwaroopam 2’ is a stylishly-made movie, which suffers a lot of bumps till the time it reaches its end.